Carmel-by-the-Sea, often called Carmel is a small but unforgettable city in Monterey County, California. Situated along the Monterey Peninsula, Carmel is famous for it's rich artistic history and aesthetic landscapes. Located approximately 120 miles south of San Francisco and nestled along the Pacific Coast, Carmel is one of the most culturally rich and visually pleasing communities in California. In today's modern society, people are finding it more challenging to build an estate that they can pass down for future generations. When you've worked so hard to build a legacy for your loved ones or favorite charities, it's important to protect your hard-earned assets so they can be enjoyed by those you care about most. Sometimes navigating through the complex framework of laws can be a daunting task, but to be certain of success, these laws must be mastered in order to preserve your assets for years to come. With the help of a Carmel estate planning attorney from The Law Offices of Jack S. Johal, you can enjoy true asset protection and you can gain peace of mind knowing that you took the right steps to pass down your legacy to the ones that matter most in your life. Attorney Jack S. Johal has over 30 years of experience in this complex legal field and takes great pleasure in helping people turn their dreams for their future into a reality. He is known for working after hours and on the weekends to ensure that his clients' needs are met, and he prides himself in finding comprehensive solutions that maximize assets while reducing tax consequences. Your hard-earned assets and time are too important to waste; let attorney Johal take your wealth to the next level where it can be truly measured and enjoyed for years to come. Attorney Jack S. Johal is known for much more than his exceptional customer service. 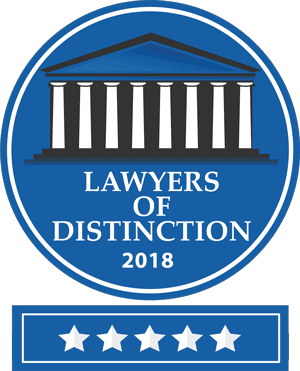 Over the past 30 years he has gained a reputation as one of Carmel's top rated attorneys through his accolades and awards. He is AV® Rated by Martindale-Hubbell® Law Directory, which is the highest rating an attorney can receive for their ethical conduct and legal ability. He captured the prestigious Five Star Wealth Award for four years in a row, given to only 7% of wealth managers in the Sacramento area, and he earned a 10.0 Rating from Avvo, the highest rating an attorney can receive. Allow The Law Offices of Jack S. Johal to worry about your legal matter and find the most practical and profitable solution so you can gain peace of mind. Contact the firm today by calling (916) 229-8027.